Recently Unzyme opened for Poets of the Fall in Seinäjoki. I talked to their manager, Nina Taylor, and she gave me some insight on how to book an opening show for a more popular artist. Unintuitively, you don’t have to talk to the band first. You might even seem unprofessional, if you haven’t thought about the possible obstacles on the way. So many things need to match before the deal should even be suggested to anyone. You should first contact the other people involved in the arrangements of the show, and only if the technical requirements are met, ask the band. Sometimes the band doesn’t even get to decide. The venue’s stage configuration is the most important factor in booking an opening show. You need to make sure that the stage setup and technology is suitable for having an opening band. It may not suit at all. 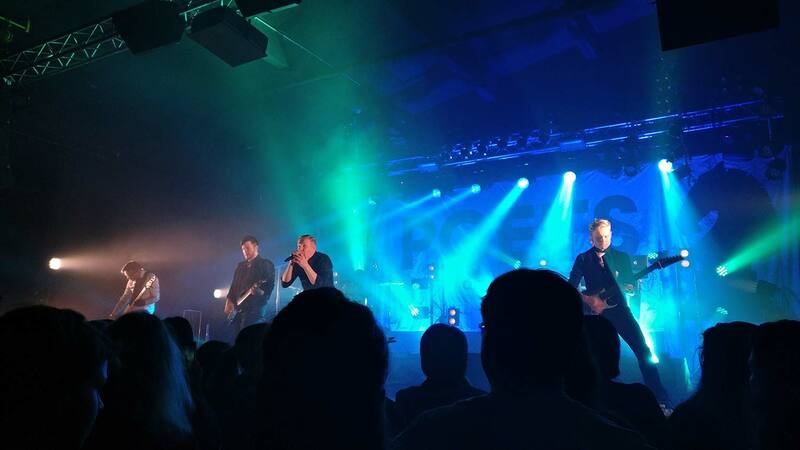 In our case, many of the venues, at which Poets of the Fall was performing on the Clearview tour, were not possible, because the stage was too small to host both bands. Nothing should compromise the show of the main act. The opening band might have to perform on a minimal version of their stage setup. To know what to suggest, you should have a look at the venue’s technical documentation, which can usually be found on the venue’s website. Technicians can also give you valuable tips on what to consider when negotiating the opening slot. Usually venues have a predetermined policy for opening acts. Which artists would you like to open for? Pick some similar artists from the venue’s calendar of upcoming shows. When you have a list of compatible bands, you can contact the venue’s own booker and ask if the dates are already booked. You’ll want to make it as easy as possible to work with you. Opening acts are one of the things that managers take care of. Bands usually let their managers decide on the opening acts. Or at least run the decision by them. When you’ve got the venue covered, you can talk with the band’s booking agent. If you’ve got actionable suggestions, that have been approved by the venue, you have much better chances of getting the opening slot. You’d think this is the first step, right? If the band is small enough, you could approach them directly, but the more popular the band, the more people are involved in the arrangements. Even if the band would say yes, other people might be against it, so it’s better to ask them first. Anyway, it’s a mighty good idea to ask the band, too.